Who knew that a medication used to treat opioid addiction can also act as a less addictive painkiller than commonly prescribed opioids such as Percocet, OxyContin, oxycodone, and hydromorphone? Until recently, I didn’t…nor did several of my physicians. That less addictive painkiller, buprenorphine, is itself an opioid. However, at the cellular level it acts in a different way than the others. 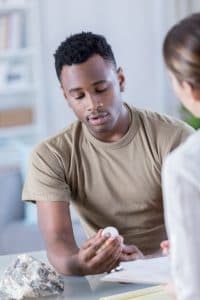 When used to treat addiction, buprenorphine may be prescribed as Subutex (buprenorphine alone) or as Suboxone, which contains naloxone, another medication to prevent abuse. You’d think with all the concern about opioid overdoses and deaths, pharmaceutical companies and health care professionals would be anxious to get the word out about safer alternatives. As a chronic pain patient who’s been prescribed opioids for more than five years, I have to say that I was a bit miffed when, not too long ago, I found out about oral buprenorphine products for pain. Four different healthcare professionals told me that insurance usually doesn’t pay for these, so I thought, “Why bother?” However, just today, I called my prescription benefit management company (a big one that’s clamped down on regular opioid prescribing) and found out that it would cover all three of these medications with quite reasonable co-pays. Although somewhat more expensive than my Percocet co-pays, the buprenorphine product co-pay would be $50 for a month to nearly three months’ supply, depending on the medication. But if I had to pay out-of-pocket, the prescription costs ranged from about $600 to more than $1,000. 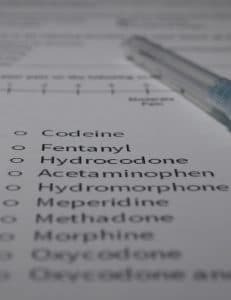 To better understand some of the advantages of buprenorphine-based medications for pain, I spoke with David Copenhaver M.D., M.P.H., an anesthesiologist and pain medicine specialist at the University of California, Davis. He is also the director of a pain medicine telehealth program to help primary care physicians with responsible opioid prescribing and pain management in their clinical settings. Q: How is buprenorphine different than other opioids commonly used for pain? When we’re talking about pain management and opioid therapy, there is a spot on cells called the mu receptor that is critically important. Opioid pain medications bind to such receptors in much the same way an iPhone does to a charging site. But opioid pain medications alter the site and have some downstream effects. They all sit and bind to the mu receptor at various degrees. Dr. C.: However, buprenorphine tends to bind in a different way than other morphine-related products including Percocet, Dilaudid, and hydrocodone. With the latter, the more you dose, the greater the pain relief. But you become tolerant, needing more of the drug to achieve the same effect. The more you take, the greater the side effects such as constipation, nausea, and one that’s particularly dangerous, respiratory depression. However, buprenorphine’s unique properties result in its activating the mu receptors to a lesser degree than other conventional opioid therapies – only at around 60 percent – rendering buprenorphine a partial agonist and giving it a ceiling effect on respiratory depression. Yet the data may suggest it doesn’t have a ceiling effect when it comes to pain. And because it binds to other “receptor machinery” around the mu receptor, there’s less effect on tolerance, less constipation, and less nausea. Patients may miss the fact that conventional short acting opioid therapies alter other pleasure centers in the brain making you feel good. Of course these additional effects of opioids are not the intended pain relieving use. On the other hand, pain suppression with buprenorphine lasts longer than with many conventional full agonist opioid therapies. Q: Just how effective are buprenorphine medications for pain? Dr. C: Buprenorphine binds tightly to the mu receptor but activates the receptor in a less vigorous way. Buprenorphine is less potent than fentanyl but more potent than morphine. The bottom line when it comes to morphine-based products (typical opioids) versus buprenorphine is that it’s like having a bright light versus a dimmer. When people say they notice a difference in how a medication impacts their pain, they may be responding to other properties of the medication. Because of the ceiling effect on respiratory depression, buprenorphine formulations can be a good choice for patients with a history of substance use disorders or whose doses of opioids keep creeping up. Some people say they are less foggy (have less cognitive impairment) when medicated with buprenorphine. Buprenorphine may have a more tolerable side effect profile than regular opioids for individuals who develop rashes from them or other typical side effects. There really is no drug that’s risk free. It’s always important for the physician and patient to have a detailed risk/benefit discussion and to make a shared decision. Q: Why do you think buprenorphine formulations aren’t used more frequently? Dr. C.: One reason is that many physicians are not familiar with buprenorphine medications, how to prescribe them properly, and patients for whom they would have significant benefit. Unfortunately the knowledge gap when it comes to pain medicine is substantial, and programs such as the U.C. Davis Pain Medicine Telehealth Academy have looked to bridge the gap by educating the primary medical work force across the state of California. Burprenorphine medications can be particularly beneficial for patients with altered breathing related to lung cancer because it may assist pain relief while protecting breathing because of its respiratory ceiling effect. 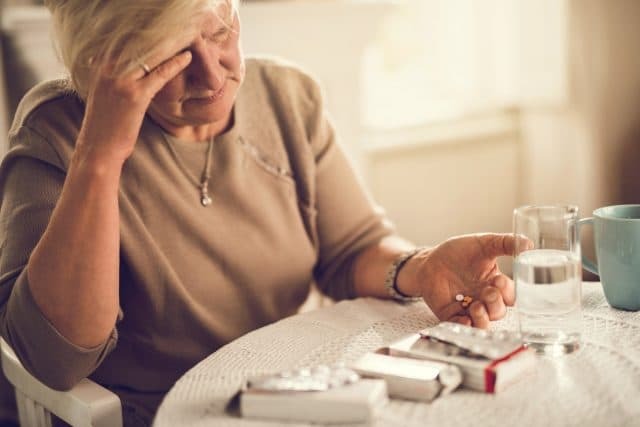 In geriatric patients, where NSAIDS are contraindicated because of gastric- and kidney-related side effects, buprenorphine may be an appropriate medication for select people. And Butrans, which offers a steady time-released dose of buprenorphine in a patch that can be exchanged once every seven days, allows for better adherence to a medication regimen in patients who have cognitive impairment.